Barrow Bid's Super Soapbox Challenge takes place on Saturday 29th June 2019 in Dalton Road. What already promises to be a spectacular event has now been given the Olympic seal of approval from a star who's no stranger to hurtling down a large ramp with only the cheers of the crowd and gravity for company. 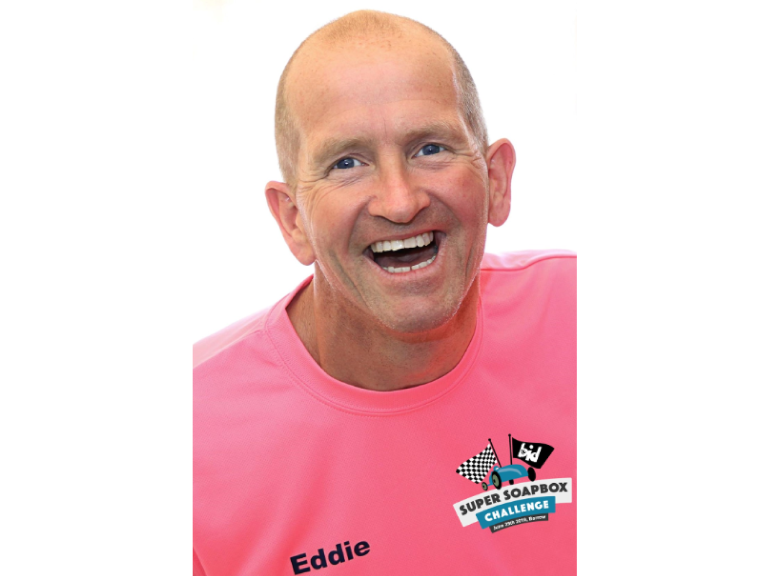 Eddie the Eagle Edwards has been unveiled as the star name who will be launching the town's inaugural Soapbox Challenge. Eddie is best known for launching himself off ski jump ramps and represented Great Britain in the 1988 Winter Olympic Games. More recently he won the first series of TV diving show Splash and was a commentator on Channel 4’s The Jump. Eddie won’t be tackling a 90m ramp when he comes to Barrow, but he will be piloting the Barrow BID cart down the launch ramp first to set the fastest time for other competitors to beat. The Barrow BID Super Soapbox Challenge event is a great opportunity for engineering and manufacturing companies, town centre businesses, charities and the local community to come together and put on a prestige event right in the heart of Barrow, so…Come on Barrow Let’s Soapbox!